At the Creative Arts Emmys, held over the September 10-11, 2016 weekend, Tina Fey and Amy Poehler made history, becoming the first joint winners of the Best Comedy Series Guest Actress category (or any acting category at the Emmys). Their win was for hosting NBC’s SNL Christmas episode. Former BOSTON LEGAL actress Candice Bergen is the actress who has won the highest number of Emmys for playing the same role. She won five Emmys for playing the lead role in MURPHY BROWN. The first African-American to win an Emmy was Bill Cosby, in 1964. Former DESPERATE HOUSEWIVES star Alfre Woodard is the African-American with the highest number of Emmy nominations (17) and wins (four). No African-American has ever won an Emmy for Outstanding Lead Actress – Drama. Edie Falco is one of only two who have won Emmys for lead performances in both drama and comedy categories. Falco won three Emmys for her role in THE SOPRANOS (drama) and one for Showtime’s NURSE JACKIE (comedy). Kelsey Grammer is the only actor to be nominated for the playing same character in three series—Frasier Crane in FRASIER, CHEERS and WINGS. With four each, Bryan Cranston and NYPD BLUE star Dennis Franz are now tied for the most Outstanding Lead Actor in a Drama Series wins in Emmy history. Aaron Paul's third win for BREAKING BAD in 2014 made him the person with more Outstanding Supporting Actor in a Drama Series wins than any other living actor. The maximum number of nominations a series has won in its first season is THE WEST WING (2000): 9. The program with the most Emmy nominations is SATURDAY NIGHT LIVE, with over 200 nominations till date. The maximum nominations a drama and a comedy series have got so far have been 124 and 117 nominations, for ER and CHEERS, respectively. The series to have won the maximum awards for Outstanding Series – Comedy are FRASIER and MODERN FAMILY, which have both won five times each. The series to have won the maximum awards for Outstanding Series – Drama is a distinction shared by four series—HILL STREET BLUES, LA LAW, THE WEST WING and MAD MEN, each of which won the big prize four times. The first Emmy Awards were presented on January 25, 1949, at a small ceremony in the Hollywood Athletic Club. 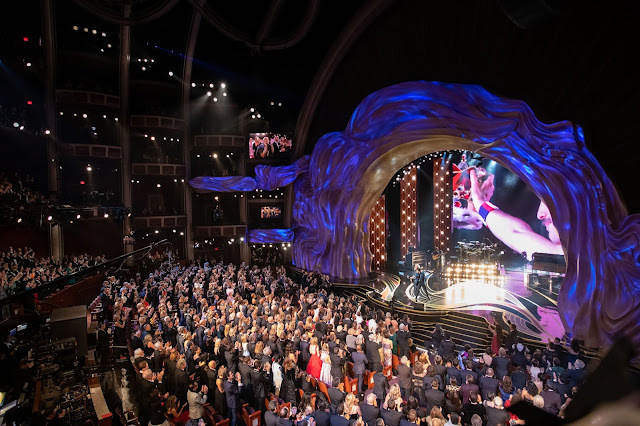 The Primetime Emmy Awards are now held at the Nokia Theater in Los Angeles. The first Emmy Award was presented to one Shirley Dinsale, a ventriloquist, who won the award for Most Outstanding Television Personality. Till date, the awards are given out for ‘Outstanding’ series, actors, actresses, directors, writers, etc. These are not referred to as ‘Best’ series, and so on. The name of the Emmys comes from the word ‘immy’, which referred to an early orthicon camera that was used to film TV shows back in the day. Voting members of the Academy Of Television Arts And Science vote for the acting categories based on single episodes of the series that are entered. 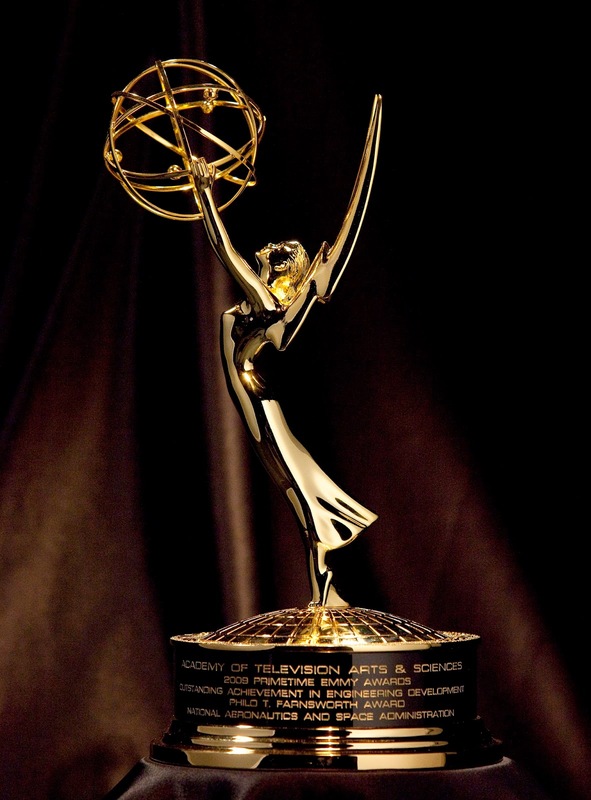 The Emmy statuette represents an angel holding up an atom. The Emmy statuette was designed by one Louis McManus, a television engineer, who is said to have been inspired by his wife when designing the angel. Each Emmy statuette weighs 6lbs, and is made out of the metals copper, gold, nickel and silver. The statuettes are manufactured by R.S. Owens & Co, the establishment that also manufactures the Oscar statuette for the Academy Awards. The statuettes are handled only by gloves until the show, so as to ensure that minimum fingerprints are made on the metal. The statuettes presented during the awards shows aren’t what the recipients take home. They get their real trophy backstage.